Born in Mexico, Alex was brought to California at the age of seven and raised there by his mother, a woman of incredible perseverance and love for her children. When budget cuts in California began to cut into the quality of education at Santa Ana, Alex created the summer session rescue fund, an account to raise money for classes that were being cut from the schedule due to lack of funds. As an undocumented student himself, Alex used his position to speak our for undocumented students who were being vilified during the budget talks. 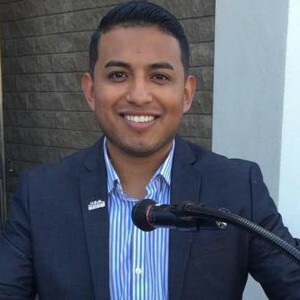 In recognition of his accomplishments, the city of Santa Ana named June 2nd 2015 “Alex Flores Day”. Before joining Grassroots Alex also led a team that registered over 10,000 voters for CalVoter. Today he is a National Recruiter and Field Canvass Director for Grassroots Campaigns and has had the opportunity to run voter projects in Philly, Brooklyn, Bronx, Las Vegas, Boston and Denver.